Looking for a used car in Costa Mesa or Tustin? 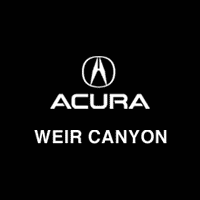 Look no further than Weir Canyon Acura. Here, we are proud to offer 99 used vehicles for sale. Not only do we offer stand-out prices on used Acura SUVs and sedans, but we also offer excellent prices on used non-Acura vehicles as well. Plus, we offer a rotating panel of used vehicle specials and affordable cars under 10k. Customers can also buy Acura OEM parts without breaking the bank with our parts specials. After you’ve browsed our used vehicle inventory online, make your way from the Montclair region to our dealership in Anaheim, CA. Complete this easy-to-use online form, and our friendly staff will be in touch with you to arrange a test drive or answer your used vehicle questions. CARFAX One-Owner. Clean CARFAX. 3.5L Technology Pkg w/A-Spec Pkg SH-AWD AWD 9-Speed Automatic 3.5L V6 SOHC i-VTEC 24V Acura Certified Pre-Owned 7 year or 100,000 limited warranty*see dealer for details*, All services completed by Weir Canyon Acura, Local car one owner Clean Car Fax, Non-Smoker, Factory recommended oil and filter changed, Full safety inspection completed *all lights are operational*, Full detail performed inside and out, Super clean, Alloy Wheels, Appearance Package, Backup Camera, Customer Preferred Package, Memory Package, Moonroof, Popular Equipment Package, Power Mirror Package, Power Package, Preferred Accessory Package, Preferred Equipment Package, Preferred Package, Premium Sound Package, Safety Package, Security Package, Trim Package, Red w/Perforated Milano Leather & Alcantara, 3rd row seats: bench, 4-Wheel Disc Brakes, ABS brakes, Air Conditioning, Alloy wheels, Automatic temperature control, Compass, Delay-off headlights, Driver door bin, Driver vanity mirror, Dual front impact airbags, Electronic Stability Control, Exterior Parking Camera Rear, Four wheel independent suspension, Front Bucket Seats, Front Center Armrest, Front fog lights, Front reading lights, Garage door transmitter: HomeLink, Heated front seats, Memory seat, Passenger door bin, Perforated Milano Leather & Alcantara, Power door mirrors, Power driver seat, Power Liftgate, Power moonroof, Power passenger seat, Power windows, Rain sensing wipers, Rear window defroster, Rear window wiper, Security system, Spoiler, Steering wheel mounted audio controls, Telescoping steering wheel, Tilt steering wheel, Traction control. Recent Arrival! New Price! CARFAX One-Owner. Clean CARFAX. Certified. EX All services completed by Weir Canyon Honda, Every Pre-Owned Vehicle Comes With A Full Tank Of GAS! !, Honda Certified 7Year 100k, New Oil & Filter, Security Package, Value Package, Power Package, Power Mirror Package, Popular Equipment Package, Moonroof, Alloy Wheels, Backup Camera, Bluetooth, Black Cloth, 4-Wheel Disc Brakes, 8 Speakers, ABS brakes, Air Conditioning, AM/FM radio, Cloth Seat Trim, Driver door bin, Driver vanity mirror, Dual front impact airbags, Electronic Stability Control, Four wheel independent suspension, Front Bucket Seats, Front Center Armrest, Low tire pressure warning, Outside temperature display, Passenger door bin, Passenger vanity mirror, Power moonroof, Power windows, Rear seat center armrest, Rear window defroster, Reclining Front Bucket Seats, Split folding rear seat, Tachometer, Tilt steering wheel, Traction control. Odometer is 9445 miles below market average! 31/41 City/Highway MPG Honda Certified Pre-Owned Details: * Warranty Deductible: $0 * Transferable Warranty * Powertrain Limited Warranty: 84 Month/100,000 Mile (whichever comes first) from original in-service date * Vehicle History * Limited Warranty: 12 Month/12,000 Mile (whichever comes first) after new car warranty expires or from certified purchase date * Roadside Assistance with Honda Care purchase * 182 Point Inspection Awards: * 2016 IIHS Top Safety Pick+ (When equipped with honda sensing) * NACTOY 2016 North American Car of the Year * 2016 KBB.com Brand Image Awards 2016 Kelley Blue Book Brand Image Awards are based on the Brand Watch(tm) study from Kelley Blue Book Market Intelligence. Award calculated among non-luxury shoppers. For more information, visit www.kbb.com. Kelley Blue Book is a registered trademark of Kelley Blue Book Co., Inc.
New Price! CARFAX One-Owner. Clean CARFAX. Certified. Sport All services completed by Weir Canyon Honda, Every Pre-Owned Vehicle Comes With A Full Tank Of GAS! !, Honda Certified 7Year 100k, Local Car One Owner Clean Car Fax, New Oil & Filter, Non Smoker, 4 New Matching Tires, Security Package, Trim Package, Value Package, Power Package, Power Mirror Package, Popular Equipment Package, Alloy Wheels, Backup Camera, Bluetooth, Sport Package, Black w/Cloth Seat Trim, Alloy wheels, Brake assist, Cloth Seat Trim, Delay-off headlights, Driver door bin, Driver vanity mirror, Electronic Stability Control, Exterior Parking Camera Rear, Front Bucket Seats, Front Center Armrest, Front fog lights, Front reading lights, Fully automatic headlights, Illuminated entry, Outside temperature display, Overhead console, Panic alarm, Passenger door bin, Passenger vanity mirror, Power door mirrors, Rear seat center armrest, Security system, Speed-Sensitive Wipers, Split folding rear seat, Spoiler, Tachometer, Telescoping steering wheel, Tilt steering wheel, Trip computer, Variably intermittent wipers. 26/34 City/Highway MPG Honda Certified Pre-Owned Details: * Powertrain Limited Warranty: 84 Month/100,000 Mile (whichever comes first) from original in-service date * Limited Warranty: 12 Month/12,000 Mile (whichever comes first) after new car warranty expires or from certified purchase date * Warranty Deductible: $0 * Vehicle History * Roadside Assistance with Honda Care purchase * 182 Point Inspection * Transferable Warranty Awards: * ALG Residual Value Awards * 2017 IIHS Top Safety Pick+ (When equipped with Honda Sensing and specific headlights) * 2017 KBB.com 10 Most Awarded Brands * 2017 KBB.com Brand Image Awards 2016 Kelley Blue Book Brand Image Awards are based on the Brand Watch(tm) study from Kelley Blue Book Market Intelligence. Award calculated among non-luxury shoppers. For more information, visit www.kbb.com. Kelley Blue Book is a registered trademark of Kelley Blue Book Co., Inc.
Why Choose a Used Acura from Weir Canyon Acura? There are plenty of reasons why drivers from Riverside and beyond choose Weir Canyon Acura. Yes, we do have a friendly staff and competitive prices. And yes, we do have a wide selection of used Acura cars (heck, we have a wide selection of used non-Acura cars, as well). But, importantly, we’re also a member of the David Wilson Automotive Group – meaning we’re a reputable and successful dealer in the area. Have you decided on the used luxury vehicle that suits your unique needs? Visit us today! We’re located right off the 91 Freeway in Anaheim, CA. Contact us today for more.